According to the Metro, Manchester United are primed to announce the signing of Brazilian midfielder, Fred before the World Cup commences in a fortnight. The Shakhtar Donetsk player is expected to have a medical in London ahead of the move as Jose Mourinho begins the task of assembling a squad capable of winning the Premier League title. 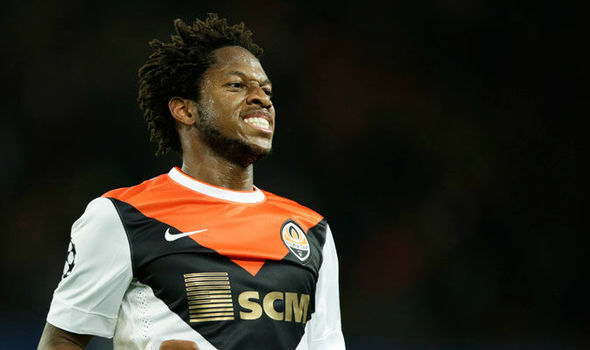 Fred, who is in England with the Brazilian national team, had reportedly been the subject of interest from rivals Manchester City. However, Pep Guardiola has seemingly cooled his interest in the 25-year-old and looks more likely to bring in Jorginho, another midfielder, this summer. United are rumoured to be paying £43M up front to bring in Fred, who would be the first major signing of the summer, but add-ons are expected to raise the fee to £52.2M. The 25-year-old has had an excellent season in the Champions League; making 23 tackles and having 13 shots in that competition, the fourth most for a central midfielder in both metric. That gives us an insight into the range of qualities he would offer to our midfield, which is lacking dynamism. Ander Herrera has assumed a more defensive role over the last two years, Scott McTominay is still learning his craft while Nemanja Matic is best known for the work he does out of possession. When two of those three players start together, there is nobody pushing forward from deep to take the creative burden away from Paul Pogba. Fred would offer enough defensive qualities to play in a double-pivot, but he would also pose enough of a threat going forward to diversify our attacking threat. The ex-Internacional man has been in talks with United for a while and has openly declared that his team were in advanced negotiations. The Daily Mail report that the deal for the ex-Internacional man is almost done, meaning a step towards a summer of swift transfer business, which is required if we are to start next season strongly.